How important is the Army’s network? 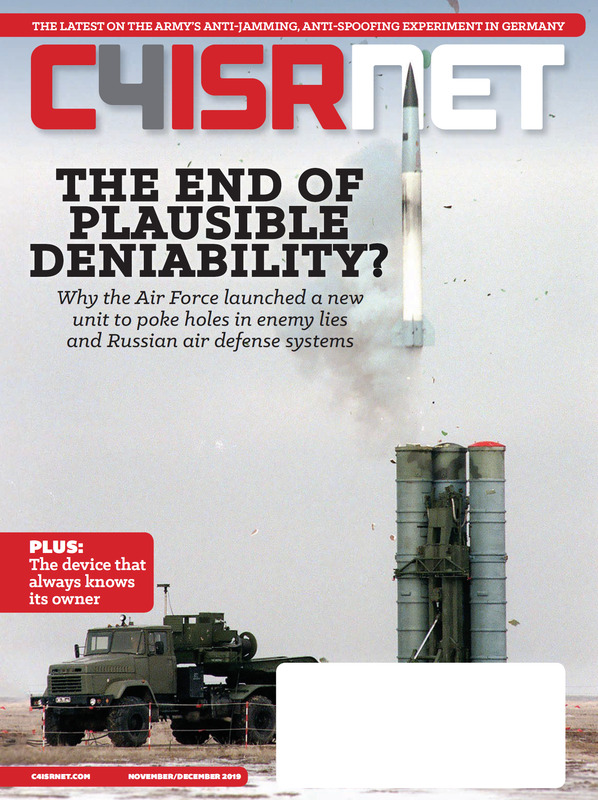 A linchpin of the review — and of most military network upgrades presently under consideration — is a reliance on commercial off-the-shelf (COTS) solutions. From cybersecurity to internet of things implementations, a range of IT modernization efforts depend on the military having access to robust, modern networks. Defense leaders and industry experts say there are good reasons why the military would look to the commercial side as the starting point for such solutions. Over the past decade carrier service providers have invested more than $300 billion in modernizing their network infrastructure, according to CTIA – The Wireless Association. The Department of Defense would have to spend billions just to reach the same level of proficiency, and it is unlikely DoD could sustain such an effort for the long haul either in terms of spending or staffing. “If you can take advantage of commercial investment, you have a global services backbone that provides a network-on-demand capability, a more intelligent network with bandwidth that could be sized dynamically up and down,” said Mike Leff, vice president for global defense at AT&T Public Sector. Military leaders say they are in fact looking to commercial solutions as the first line of defense in their quest for sturdier, more agile network capabilities. Take for instance Army’s Program Executive Office Command Control Communications-Tactical (PEO C3T). That office is taking what it calls a “find-try-adapt-buy” approach to the acquisition of networking assets. “Find and try” means the Army will continually field-test available solutions for military application, while “adapt and buy” suggests the Army will then acquire and adapt the best of these solutions to meet unique military challenges, said Paul Mehney, spokesman for PEO C3T. “This approach to mission command network modernization will allow rapid insertion of new technology, by leveraging commercial systems not specifically designed to exact military-grade standards,” he said. This commercial-first message was broadcast clearly at last fall’s annual MILCOM conference hosted by AFCEA. “Your No. 1 mission is to buy, not make,” said Lt. Col. Shermoan Daiyaan, product manager for tactical mission command within PEO C3T. Daiyaan pointed to the emerging command post computing environment as one example of commercial solutions in action. 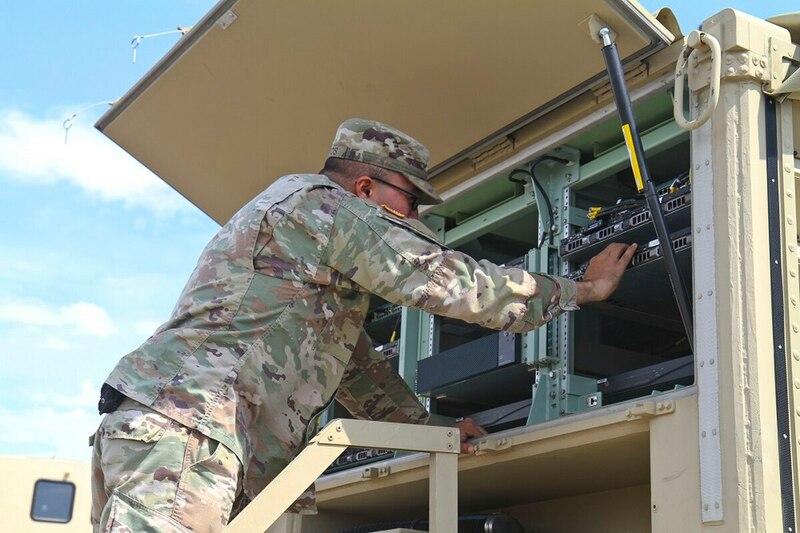 “Our organization bought a [commercial off-the-shelf] solution, we’re adapting it to make sure it does everything we need it to do in the Army and then we’re going to field it,” Daiyaan said. Experts say that in following the lead of commercial providers, the military can at last break out of the siloed, overly prescriptive solutions that have for decades characterized defense networking infrastructure.